A couple more washi tape cards to send off for my February card exchange!! I am really loving these cards!!! You can check out a few more here. For the left hand card I added four strips of washi tape to my white background layer. The yellow, red and green are handmade by me using tissue paper and double sided tape. Check out the tutorial here. The blue one is a commercial washi tape. After adding the tape I used a hammer and star embossing folder to emboss some stars all the way around then glued it to a red card front. I used gel pens and watercolour to colour my laser printed large greeting. The rainbow stars is an image from an image font to which I added a font greeting and then digitally inserted both of these elements into a double border frame which I cut with the smallest Deco Label thinlit. I mounted the greeting to my card and finished it off with three colourful sequins. Pretty much "Ditto" for the card on the right. The greeting is laser printed and die cut with the Deco Label thinlit and coloured with watercolour and gel pen on the frame. The "hello" is from an image font. I used a hammer and the Swiss Dot (CB) embossing folder to add texture to the outside of my background after adding the three strips of washi tape. All three of these washi tapes were handmade by me using tissue paper and double sided tape. Check out the tutorial on my Tutorial Page (click on the link at the top of this page) So much fun!! You really should try it!! 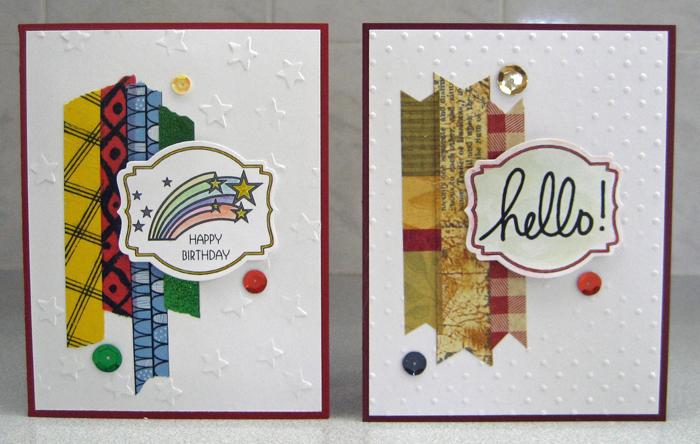 I added my greeting with 3D foam tape and finished off my card by added three sequins. Therese, These diecuts turned out really well. Sylvia D. Welcome!! I am a paper crafter that enjoys creating cards and working on a wide variety of paper projects including handmade paper, paper decorating and altered books. I am exploring mixed media and collage with a view of using my own photographs and art in my projects. 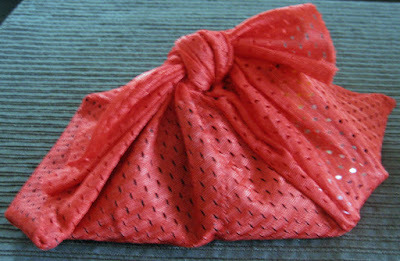 Recently, I have branched out into a bit of fabric and stitching. Enjoy your stay!! If you like what you see consider following by email! !